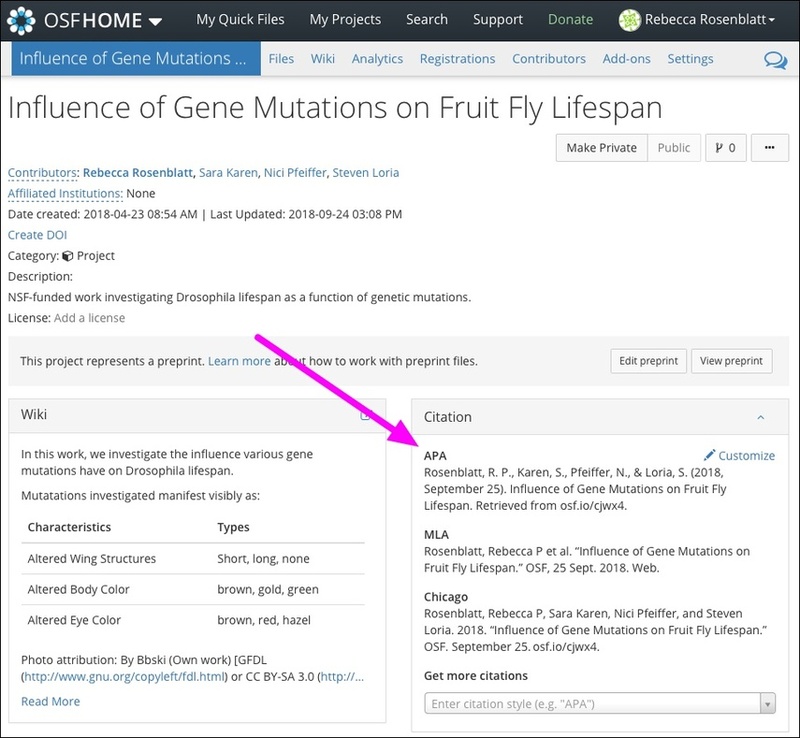 You can create a customized citation for your OSF project that's different from the default styles available. 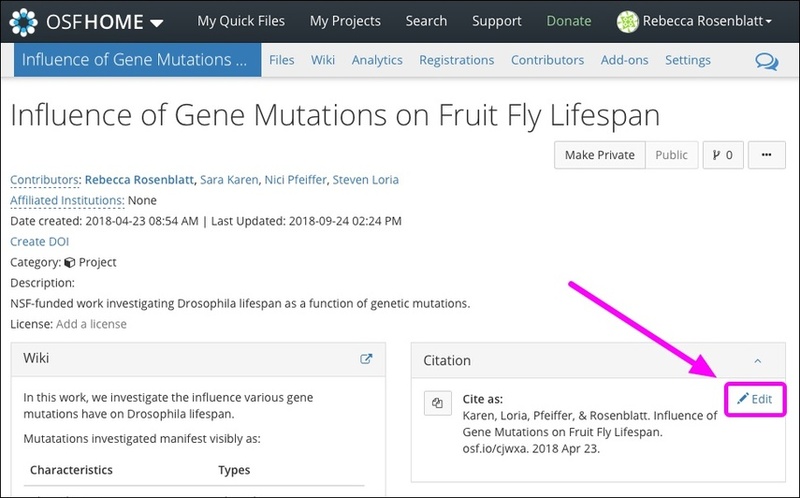 A custom citation communicates to others how you want them to cite your materials, and gives you the flexibility to add metadata, such as publication information or a group name. 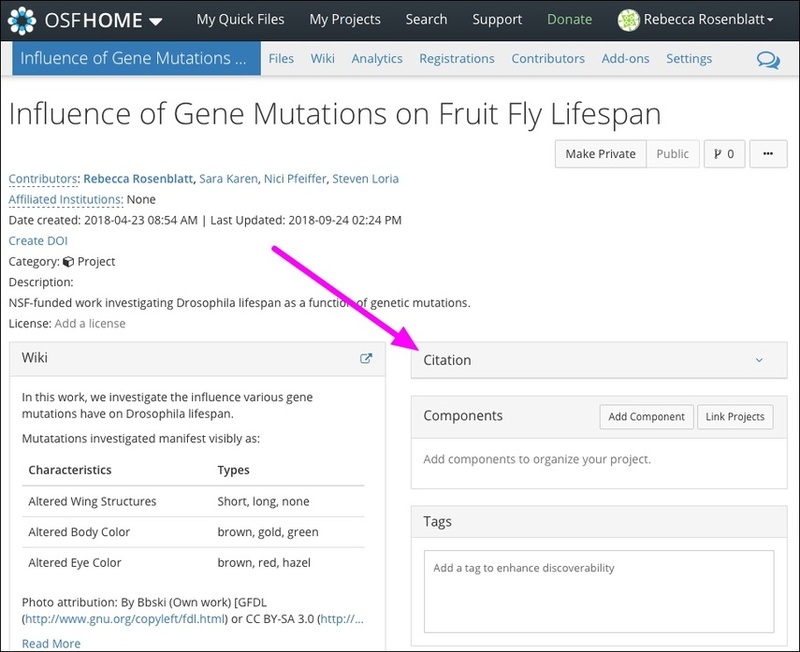 You must have admin permissions on the project in order to create a custom citation. 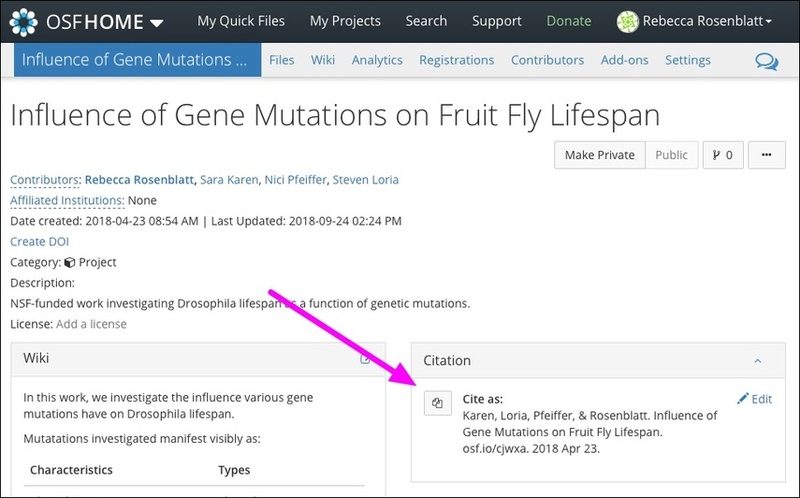 Adding a custom citation will remove MLA, APA, and other styles from the list of citations - default citations can be reverted at any time. Open your project, then expand the "Citation" section. Click the Customize link in the top right. Enter your custom citation in the textbox, then click Save. The custom citation will be displayed in the "Citations" section. Click the Copy to clipboard button to copy the citation. Click the Edit link in the top right of the "Citations" section. 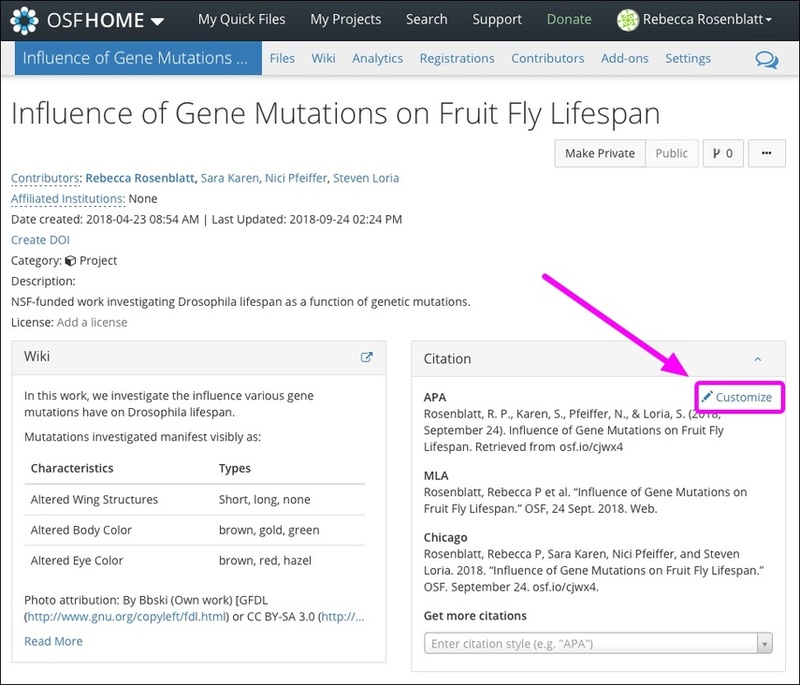 The custom citation will be removed, and the default citations will be reverted.